Kaati – Publisher: We continue to have fun with the Blues Festival Guide magazine, the weekly Blues Festival e-Guide newsletter, and this website, and especially working with the Blues Societies across the nation! I encourage you to become a member, or start a Blues Society in your area… there is power in numbers and we all have to work together to keep America’s original roots music in the forefront of our culture. My background is in magazine publishing, so I produced festival programs for a while and then eventually, the Reggae Festival Guide magazine in 1995 and the Blues Festival Guide magazine in 2003. I hope that you find this website useful for your entertainment planning and be sure to check back often for festival updates! Click here for contact information. Cheryl O’Grady-Yearnshaw – Sales Manager & Marketing Director: During my childhood in Sacramento, California, I was exposed to a wide-variety of music when my parents owned a jukebox route that serviced over 80 bars and other establishments. My family’s business activities sparked my interest in people, and the jukebox in the living room hooked me on blues at an early age. I am currently owner of COG Promotions, a privately held promotions business (after retiring with 27 years of service as a Social Worker in Nevada, moving toward a career in promoting Blues was a natural for me.) 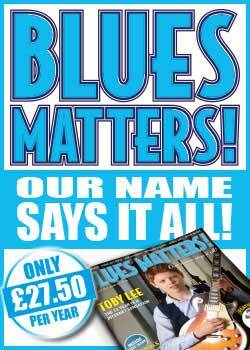 I have been with the Blues Festival Guide (BFG) magazine from its inception and have helped it grow into a respected and highly developed marketing corporation. 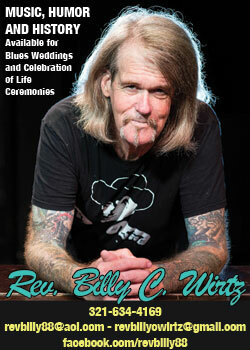 My husband Tom and I have traveled and attended blues festivals across the U.S. enjoying varied festival cultures. We both are specifically interested in youth involvement at festivals and have obtained a wealth of information to share as festival consultants. I was one of the founders of the Reno Blues Society (Reno, NV), serving on the RBS Board for seven years and was instrumental in producing over 35 Blues shows featuring headliners including Buddy Guy, Charlie Musselwhite, Koko Taylor and many others. I currently serve on their Advisory Board. I graduated with a BA in Social Welfare from California State University Sacramento in 1973. As a Social Worker and an RBS Board member I have been involved in fund raising for a variety of charities. I work with festivals, music promoters, musicians, record labels, etc. developing and implementing effective and affordable marketing campaigns. This includes focusing on brand strategy. In addition, I’m a true fan of the genre and if you’re trying to get your information to the blues industry or the fans I can help. 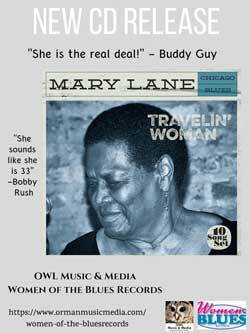 Michele Lundeen – Blues e-Guide editor: Greetings and thanks for diggin’ the blues! I currently live and perform as a blues singer, songwriter, bandleader in the San Diego, CA area. 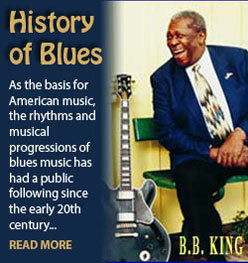 As a performer, as well as a writer and researcher, I’m into sharing every facet of blues music. I’ve always felt that “blues” is not only about music, but an honest, human expression of life’s trials and tribulations. Soulful and earthy … it cannot be denied. The wealth of history and music that I have discovered over the years has been so enriching and its rewards are a’ plenty. In Nov 2004, I released my debut CD, SONG INSIDE ME featuring 9 self-penned originals out of 12 tracks and some very special guests in the studio with me like slide master Roy Rogers. I’m a founding member and editor of the Reno Blues Society and Blues Lovers United of San Diego and have owned my own graphics/print brokerage since 1985. 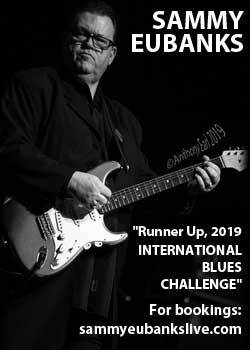 I represented San Diego in the Blues Foundation’s Intl’ Blues Challenge (IBC) in 2000, am a multiple San Diego Blues Awards “Best Blues” nominee. I’m also active as a presenter/performer in the local Blues In The Schools (BITS) program. My website is www.michelelundeen.com and you can also find my CD, SONG INSIDE ME, at www.cdbaby.com/Lundeen. Heather Penrod – Sales Rep: My immersion in music started at a young age. My grandfather was a musician & my mom played trombone so our house was always full of music. Mom taught me to twist & Jitterbug in the living room. I played flute all the way thru school & picked up enough guitar to play at it. I was General Manager of an awesome Roadhouse in Verdi, NV, Rancho Nevada, where I got introduced to the Blues & fell in love. After that I helped start a Blues Club in the basement of a biker bar & got involved in the Reno Blues Society. I created the local band listings for the RBS & started helping book the local Blues bands. I ended up on the board & helped with all of their events. I helped with the first Reno-Tahoe Blues Festival, then I moved to San Felipe Mexico where my husband, Rick Rudd (Bass & Lead vocals) & I started the first annual San Felipe Blues & Art Festival which is heading for its 9th year. I have known Kaati, Cheryl & Michele for longer than I want to admit to & in 2013 they ask me to join them. I am thrilled to be a part of this great endeavor. Tom Andrews – Sales Rep: I was born in Memphis, lived in the Arkansas Delta for a time and moved to Biloxi on the beautiful Mississippi Gulf Coast in 1956. I now live in Picayune, MS, just 50 miles north of New Orleans and 45 miles from the Gulf Coast. After high school I worked in retail for 15 years and then went to work for the Picayune Item as Advertising Director. The Item is a daily newspaper in Picayune, MS. I served in that position for 20 years before being promoted to publisher. 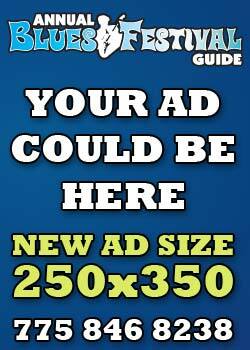 In addition to print sales I also was responsible for online advertising sales. I retired in 2010 after 10 years as publisher. I am a very active retiree who attends several blues festivals each year. I have attended the New Orleans Jazz and Heritage Festival every year since 1976, and every day for the last 25 years or so. 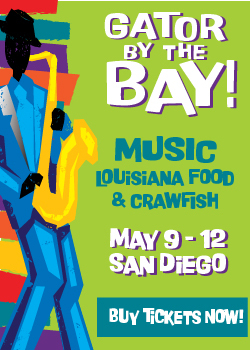 I also attend several other festivals each year including the New Orleans Blues and Barbecue Festival, the Bogalusa Blues Festival, the King Biscuit Blues Festival and the Baton Rouge Blues Festival. I love going to festivals and live music venues. They feed my deep and abiding love of the blues gained growing up in the Arkansas Delta during the early 50’s listening to legendary disc jockeys Gene Nobles and John Richbourg (Big John R) on WLAC, a radio station in Nashville, TN. Irene Johnson – Editor: As Editor for the Blues Festival Guide, I work with our team to create an entertaining and valuable tool for our readers that can help plan festival calendars, foster connections with the greater blues community, and keep the blues alive. That feeling of standing in front of a festival stage, reveling in the camaraderie of your fellow festival-goers as your spirits lift together in response to the music? 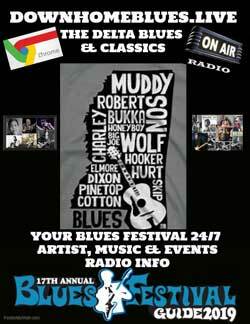 The Blues Festival Guide is that in print, right in your pocket. Belinda Holloway: A long-time music fan, festie and Memphis resident, you will find me at blues festivals and industry events such as the International Blues Challenge and the Blues Music Awards promoting our magazine. If you see me, please say hello! Sean – Advertising Sales: Sean Bookman is an American-born Rastafari and yogi. A father of two beautiful daughters with a vision of oneness and love for humanity in the natural world. When he is not sharing his passion supporting the music industry with his skills in sales, marketing and promotion, you will find him playing bass and drums in his own band called HOSANNA out of Colorado. Goran Petko – Art Director: Hello there! I live in Zagreb, Croatia, where Im running my own Graphic and Web design company Aqua Design since 2001. My services includes Graphic and Web Design for wide range of press media materials and web/multimedia design. Creative solutions for your Magazines, Catalogs, Posters, Calendars, Flyers, Brochures, Tickets, Book covers, Websites, Blogs, eCommerce sites etc. As an Art-Director at RBA Publishing my responsibilities are Reggae and Blues Festival Guide Magazine Graphic Designs and Pre-Press, Web Design and Maintenance for both sites and Reggae e-Guide Newsletter design. If you need any kind of Design works/assistance, please do not hesitate to contact me via RBA Publishing.